Which other Toyota wheels can I fit to my 2008 Prius Tspirit? I am interested in getting secondhand 15" wheels to fit winter tyres on. Can I safely put on a 2013 Scion FRS 17" Rim on my 2013 Toyota Prius Plug-In? Hey, I just put on the same brz 17 inch rims on my 2013 Prius hybrid and the wheel shop needed to put in wheel spacers so it would clear the brakes. Not sure if you have the same braking system as the regular Prius. Hey...i used a 5 mm spacer. You also neednew lug nuts because the stock ones will be too short. The shop should have them. Google youtube prius with frs rims. There should be a few videos. I got my spacers at pepboys for $5 each. Hi ! 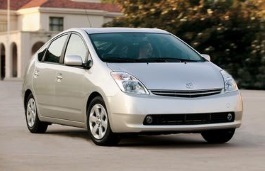 Can I safely put 17" rims from Toyota Camry SE 2007 on my Toyota Prius 2013 . Thanks ! Will rims from a mini fit on my 2014 pruis C? No, unfortunately not, the bolt pattern is not the same (Prius 2014 = 5x100) and the Mini (depending on which model) has a bolt pattern of either 4x100, 5x112 or 5x120). Does anyone have the correct tire specs for a 215 45 17 on a 2015 Prius? I am mainly interested in the load rating. Discount tire insists that the load rating should be 91 for that 17" tire even though their wesite recommends many with an 87 load rating. The person at my Discount Tire says he can't sell me a tire with an 87 rating. This al;l started with upgrading my tires and wheels to 17" They sold me Kumho ECSTA ASX tires athey have ruduce3d my gas mileage to 33mpg. I was never informed by the salesman about fuel efficient tires and how critical they are to this vehicle. I would like to go back to the Goodyear Assurance Fuel Max 215 45 17 but they refuse to sell it to me because of the load rating while a local Goodyear dealer see no problem putting them on the car. the only issue is Discount TIRE is willing to credit all my money back to me and forego balancing chsarges etc. They have suggested the Falken ZIEX ZE 914 Ecorun which has the 91 load rating. I do not know anything about Falken tires. If this mileage has something to do with a faulty vehicle wherever the problem may be they will want an OEM tire on the car thus the Goodyear. Bridgestone has a 17" tire that was specifically made for the Prius in 17" ..Turanza EL400-02 with a load rating of 87 and Discount Tire will not sell them to me because of that as well. Will a higher load rating effect the ride of my care? i went with the Falken Ecorun and mileage is way up. You call Toyota and their tech guy will tell he doesn't recommend 17" tires and wheels. Yet I can build my Prius Two from the Toyota website and at the end they offer 17" tires and wheels for around $26oo. They are so full of themselves and not very bright and think people are stupid enough to be ripped off by their inflated accessory prices. The main problem was the load rating of the tire which Discount Tire will not sway from. The stock 15' Goodyear tires are made special for Toyota and carry and 89 rating. The same Good year you can buy has an 87 rating. The new Falken Tires carry a 91 or 92 rating and are made especially for Hybrids. Now if they can figure out the problems with using the EV Mode when you need to use it. I have a 2012 Prius V, which uses different size wheels than you show in the listing. The bolt pattern is 5X113.4. It is different because this is a Station Wagon and is heavier than the normal Prius. 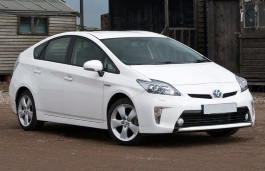 Hi,Syrl Ferguson,Yes,most toyota prius have 5*100. Thank you. 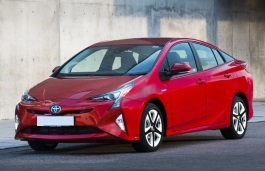 Prius V has been added to the Toyota models. What is the largest rim I can put on my 2016 Prius c two? 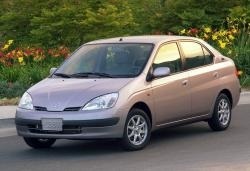 I have a 2010 Prius II. Can I put 205/70R/15s on it? Hi,Knowles,The stock tire size for your car is 195/65/15.According to the tire calculator,205/70/15 can't fit for. Bolt size is 8 all around would they fit ? So what size of rims should I get ? For it too flush & tire ? Wondering how much offset on a 17x8J rim will flush the rim to the body of a 2016 Prius. Anyone? Thanks! You are a prius driver yourself? have Toyota Prius 2011 with std. tires 195/65r15. Will Bridgestone Ecopia EP422 Plus 205/65R15 himilage tires Fit? I have a 2015 Prius. I want to buy a set of rims for winter snow tires. Will all years of Prius wheels fit on my 2015? Hi,Mike,You'd better use tire calculator to confirm it. 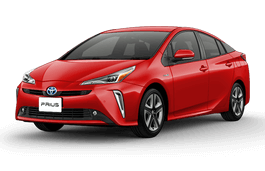 I have a 2015 Prius 2 Hatchback Standard Package. Will the standard wheel rims from Prius 2's Hatchback years 2002-2014 fit on my 2015 Prius 2? Thank you. 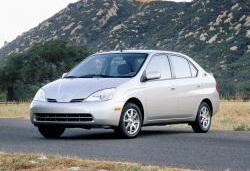 Hi,Dan,for 2002-2014,it have two prius editions,2002-2009 wheel pcd is 4*100,but 2009-2014 is 5*114.3.They can't fit for.I suggest that you find for your 2015 car wheel size firstly,And then put it in 'rim search' form in home page of this website.Then,you can find accurate car models list that can fit for your car.